There is an old Chinese curse which runs ‘May you live in interesting times’! We are certainly there at the moment and all the indication is that things could get very ‘interesting’ before they get better. Although we talk a lot about individual energy there is a universal energy that is unfolding too. This is the big picture referred to in the title of this post. Our own search is intimately bound up with the the world’s current situation. At a micro and macro level the same process is going on. If you are interested in Energy Healing at all levels then you need to understand what is happening at a global level. This article really gives a flavour of what is going on and may help you to get a grasp on what is happening worldwide at the moment….. Global Shadow is not ‘out’ there – it’s in us! We are part of it and as long as we promote or align our energy to our victimhood and inner and outer negativity, we are feeding it! Please leave a comment below and let us know your thoughts. Energy Healing has been practised by all cultures at all times throughout history. It might in fact be our oldest form of healing and perhaps is a throw back to a time when the human race was much more in touch with its true nature. Somehow, something became lost as humans developed into modern man; with our scientific world view and technological superiority we believe that we have mastered all knowledge, leaving no room for the beliefs of this older spirituality. Like our childhood beliefs in Father Christmas and the Tooth Fairy we believe we have grown beyond such a ‘simple’ understanding of our world. This is a classic case of ‘throwing the baby out with the bathwater’ and completely disenfranchises us from our connection to the source of all existence. If the programme we our running in our brain doesn’t allow for the possibility of energy healing then no amount of evidence or personal testimonies will convince us otherwise. So, perhaps the first prerequisite as we explore energy healing courses online is to have an open mind. That solid matter and energy are two aspects of the same fundamental energetic fabric of our universe. That we can control and direct this underlying universal energy through our focused intention. Modern Quantum Physics seems to be saying exactly this. Particles can exist either as a wave or a particle (solid or energy), can communicate with other particles instantly across vast distances (possible only if they are not ‘separate’ in any way but part of the same vast energy matrix), and appear to be at the mercy of our conscious attention (scientist now realise that the act of observing our world seems to effect matter in some fundamental way). If we accept that reality is in fact far ‘stranger’ then our high school science would generally have us believe then we are in a better place mentally and emotionally for considering the merits of energy healing. 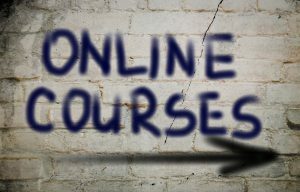 A word of warning though; when you’re looking for energy healing courses online remember that not all courses are created equal! Either driven by ego or the desire for financial gain there are a lot of charlatans out there. Spotting these is actually easier than you might think. Firstly, use your intuitive feelings about the words you are reading and the images you are seeing. Intuition is a valuable skill and comes to us from outside our conscious ‘thinking’ mind. In itself, it is never wrong and our ability to capture its guidance can be greatly improved by paying attention to its quiet voice within. Like any personal skill, the more we use it the more reliable it becomes. One of our guiding principles is the simple command to ‘Develop intuitive judgement and understanding for all things’. There is a part of you that will recognise whether you are being conned or not; go with that feeling. Look also at the price. Does it seem reasonable to you or somewhat extortionate? A worker is always worth their wages – even healers have to feed their families and pay their mortgage! However, we have seen many so called ‘energy healers’ who seem to prey on the vulnerability and need of the person coming to them and charge fees that can politely be described as ‘somewhat high’. Many courses seem also to rely on the magical healing skills of the individual selling the course. It is as though they are the sole holders of some secret knowledge or skill, but will of course share that with you for a price. 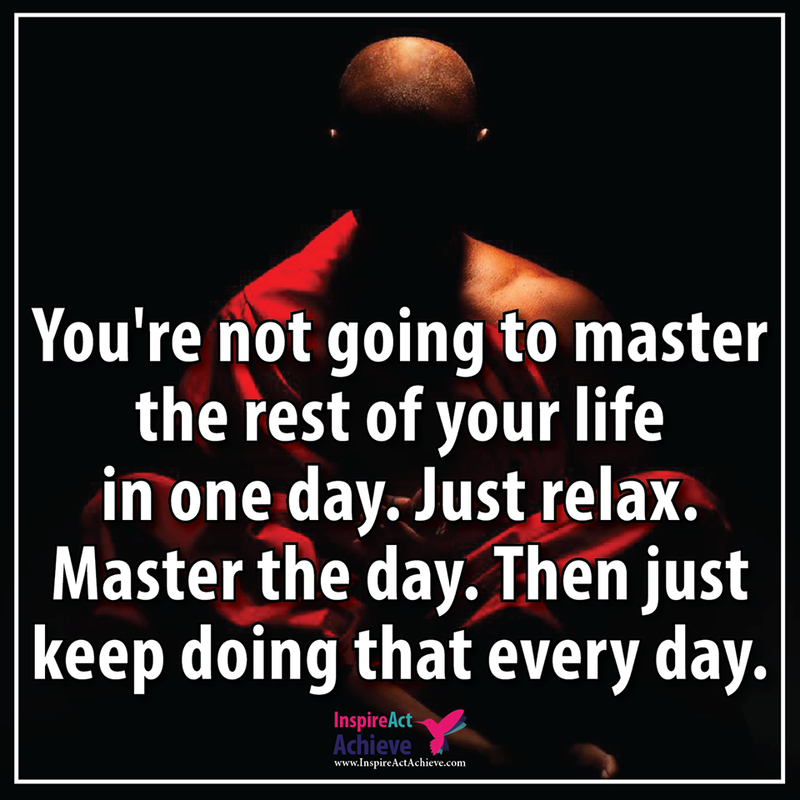 We see this a lot in one of the healing modalities that we work with, Reiki. There are Reiki levels to be worked through, secret symbols to be learned and special Attunements to be undergone. Of course, only the Reiki Master can teach you this knowledge and attune you to the power of the universe. Nonsense! We are all part of the energy matrix that makes up reality and we don’t specifically need to do anything special to tap into it, except perhaps to give ourselves permission to accept its existence. The truth is that no one can heal you – you can only heal yourself. All any healer can do is to lead you to a realisation of this one simple fact. They may open your mind to things you have forgotten and help you to experience what is freely available to you at all times – connection and energy – but that is it. Once you start to recognise this for yourself you are on the road to being healed. Healing is often no more than a clearing of your own thinking processes, effectively rebooting your mind and body to a more natural and harmonious way of operating. A good online healing course will take you through the process that allows you to direct your own healing but it cannot do the healing for you. It is vital that you understand this. If you do not then you are simply setting yourself up for disappointment and failure. Hopefully, armed with this information you are better placed to make a judgement about the online energy healing courses you are looking at. Remember: develop intuitive judgement and understanding for everything; of course that includes our words too! Thanks for stopping by. Remember, whatever course you eventually choose there is no magic outside of our own self. All healing stems from within. If you are interested in taking this further our online Reiki course will be available by the end of March 2017. Please sign up to our monthly newsletter ‘Confessions of a Misguided Monk‘ for notification of when it is available or email me directly at info@universalenergyhealing.net. Please, keep in touch. Share a comment or questions and I will get back to you. Click here to read The Big Idea – it may help you to understand more about our healing philosophy. Does Reiki Distance Healing Work? 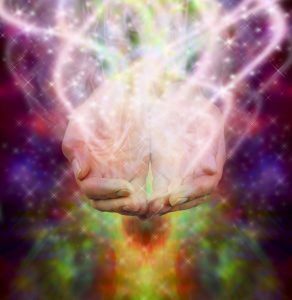 It is one thing going to a Reiki therapist to receive a ‘hands on’ treatment where you are able to tell them your problem and directly experience the energy work that they do with you. We are so used to visiting healers of all kinds; whether it be the doctors, dentist or a chiropractor, we recognise that this face to face contact seems an almost essential prerequisite for healing to take place. It is quite another to consider that the same level of healing can occur without any direct contact between the healer and the patient. 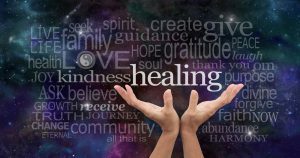 It seems counter-intuitive that healing could actually take place from a distance and yet this is exactly what many Reiki practitioners claim to be able to do. This, of course, raises a very serious question: Does Reiki distance healing work? To understand how this might be possible we need to explore the view of ‘reality’ that comes from modern science, particularly Quantum Physics. For those of us schooled in the standard Newtonian world view, this new paradigm can certainly come as something of a shock. Just as Alice found her world got stranger the further down the rabbit hole she went, so a quantum understanding can challenge pretty well everything that we accept as ‘normal’. When we drill down to the smallest sub-atomic levels it seems as though the solid matter of everyday experience may actually not be solid at all. Quantum energy, the energy of atomic and sub-atomic particles, seems to behave almost magically, existing as both a wave and a particle, depending on whether it is observed or not. It seems as though there is something about consciousness that may directly effect this quantum energy. At this level ‘solid matter’ may be much more of a myth that we commonly recognise. It seems as though matter may in fact come into existence out of a field or matrix of energy that lies behind all existence. This search for a ‘unified field theory’ is currently the Holy Grail of many scientists and projects like the Large Hadron Collider in Europe are part of this search for a model that can explain how all the energies in our universe interact. It is at this point that the message of science and many of the great spiritual teachers from the past seem to merge together. The existence of this field of energy implies that the energies of everyone and everything is in fact connected as we all appear out of the same source. In essence, nothing is ‘separate’ at all. This is just an illusion brought on by an incomplete understanding of how reality works. Everything is energy! This of course includes our body and our consciousness. Research shows that we have fields of energy emanating from our bodies that expand beyond the limit of our physical body. All these energy fields contain information and when we tap into the unified field of energetic information, our bodies sometimes receive information as non-local intuitions. Have you ever been sitting in a pub or a restaurant and known that someone was staring at you? When you instinctively look up, sure enough there they are. How did you know this with so much certainty? Soldiers in battle often dive for cover a split second before a bullet smacks into the wall they were standing against moments before. How did they know they were in danger? Is it possible that under the heightened stresses of battle they are more open to communication from the field of energy than they would normally be? Clearly something has happened; instances of such events are too common to be put down to luck. 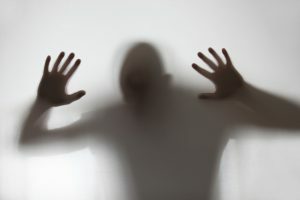 When we understand that consciousness is not confined to our body but extends into the energy matrix that is the real ‘reality’, these, and many other paranormal experiences, become much easier to connect. By aligning the energy of our consciousness with the energy of the unified field, we can have access to abilities that are actually perfectly natural yet border on the miraculous to the uninitiated. This returns us directly to our question, does Reiki distance healing work? The truth is that there is no distance or separation, because we are all part of the same energy field and the ‘healing’ is to recognise this simple fact. By focusing our intent on another, whether they are with us or not, we open them up to possibilities that they may not previously have considered. Once they too recognise their own fundamental connection to source energy, healing in the full sense of the word will follow. Experienced Reiki practitioners will have recognised their own connection to this source energy and will have helped many others obtain the same insight. It is the focused attention and will of the practitioner that facilitates the healing changes in the recipient. They ‘healer’ leads until the ‘patient’ is able to take full responsibility for their own healing. Does Reiki distance healing work? Why not try it with an open mind and experience Reiki for yourself. Thanks for stopping by, I wish you all the best as you research your own path to health. Please, keep in touch. Share a comment or questions and I will get back to you. Click here to read The Big Idea – it may help you to understand our healing philosophy. Are Some People Energy Vampires? 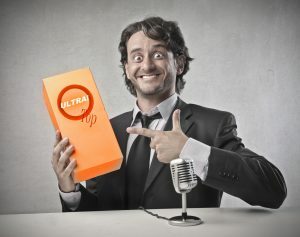 Have you ever wondered why some people are really successful even though they are absolute bastards? Perhaps, your boss? Or, do you have that high maintenance ‘friend’ who regularly unloads all their troubles on you and leaves you feeling totally drained? In both cases you have met someone who may well be an energy vampire! It seems that some people actually soak up energy from those around them and playing on other’s emotions is the ultimate way of generating this source of ‘food’. This is a really interesting article on this phenomenon, providing something of the science behind it. Please read and feel free to leave your comments below.